It is sometimes very difficult to find the right fly. In front of you rising fish- but they do not take your fly. To be able to choose from high quality flies, which were choosen from experts will help to be successful even in those situations. 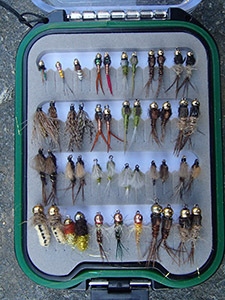 In our Swiss fly sets you'll find the most successful flies packed in a useful high quality box. 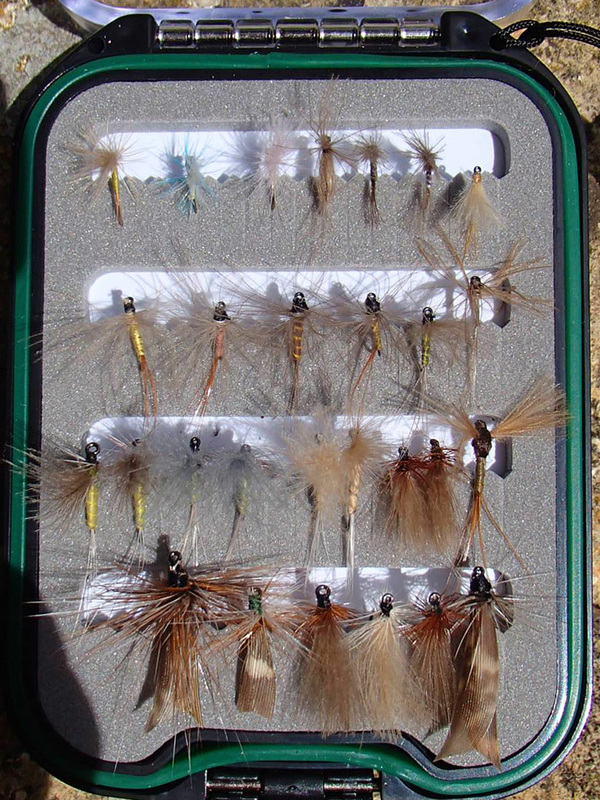 Fly collection for all Lowland and Jura mountains rivers in the two sides clear lid fly box. Fish the whole season successful. 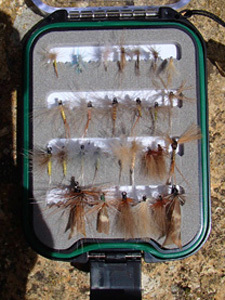 The best dryflies in sizes 10-18, containing Veya- Flies, Parachutes, Moustiques and many other. On the other side, find the most successful Swissflies nymphs, emergers and wet flies in sizes 10-18- flies like Goldhead- nymphs, Olive Emerger, Peter's Gold Nugget, Belini Leathernymph und many other. 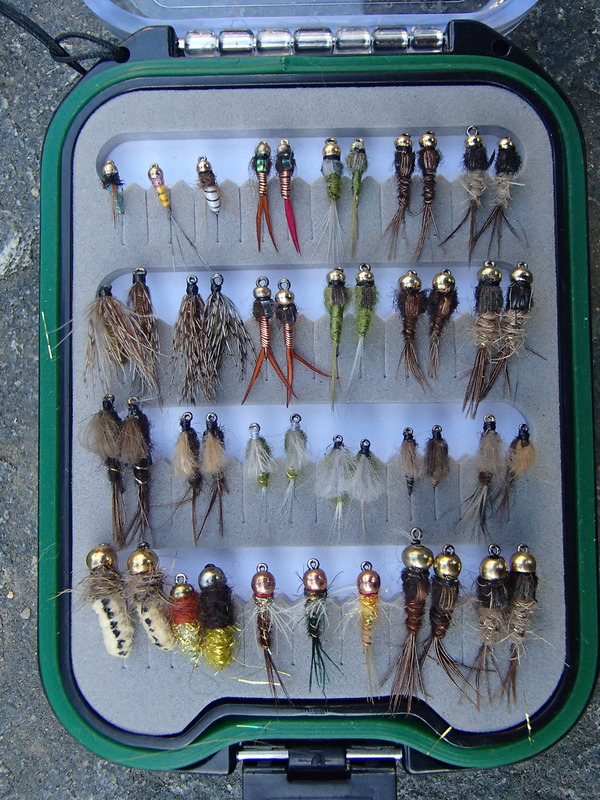 Fine Swiss flies, in the Neck Fly Box - representing a value of more than Fr. 220.- for only Fr. 164.-!